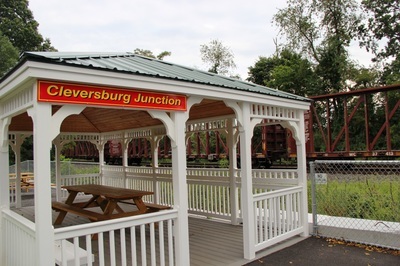 For those looking to railfan the Shippenburg, PA area; Cleversburg Junction is a great place to base your adventure. 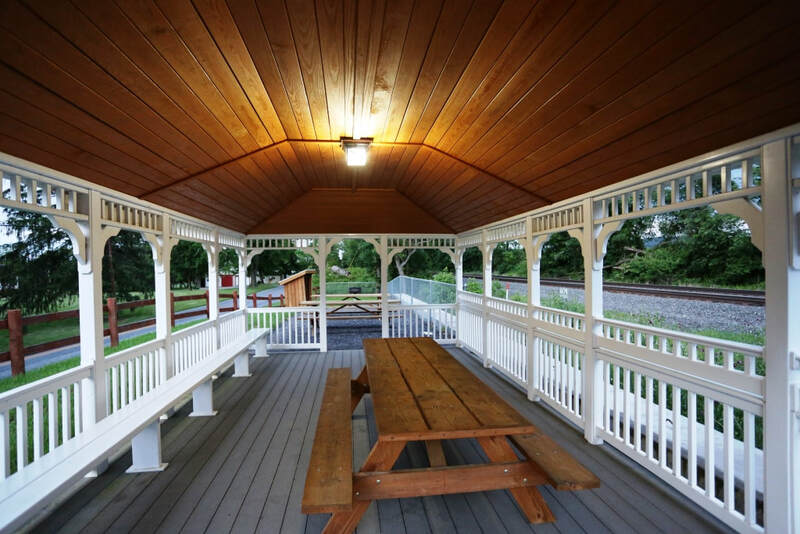 Southampton Township built the park for train-watchers. It’s a great set up, a covered pavilion, picnic tables, radio scanner feed and of course a fairy busy Norfolk Southern line completes the show. It’s easily located off I-81, and is worth the stop if in the area. There are a couple of drawbacks to the location for photographers. First, it’s located on the north side of the tracks making photography difficult on sunny days. Second, there is a passing siding that is between the park side and the mainline. 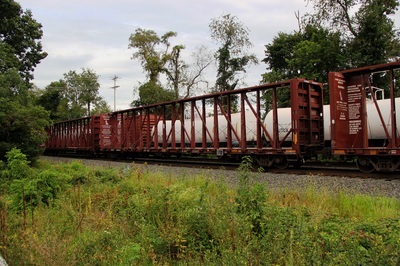 A parked train may block a view of a passing train on the main track. Third, train traffic on this line is lighter then you will find an hour north in the Harrisburg area. Then again the Harrisburg area doesn’t have a dedicated train-watching park. Cleversburg offers a safe & legal area to watch trains. 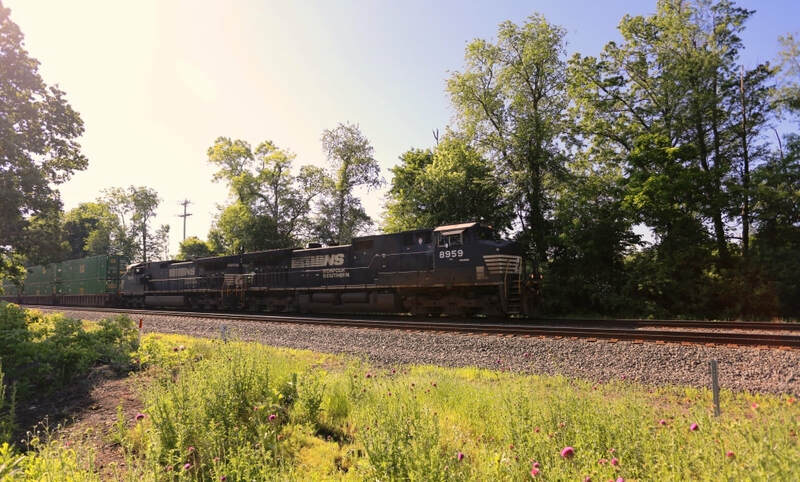 Additionally, you can see any kind of train on this line, merchandise traffic, intermodal, automobile, coal, grain, and all kinds of other surprises including foreign locomotives running through on Norfolk Southern trains. It’s worth the stop if you’re in the area! Town / City: Shippensburg, Pennsylvania (Southampton Township). Directions: Located at: 215 Airport Road, Cleversburg, PA. I-81, Exit # 29 [PA Route 174]. Go west on Route 174 towards Shippensburg. AT the first traffic light, turn left onto Airport Road (There is a Rutter’s at the corner). Drive east on Airport Road, you will see the railfan park about a mile down. Location Name: Cleversburg Junction [Railroad wise: The park is located between CP SHIP and CP LEES CROSS ROADS. Rail Traffic: Expect about 15 trains during a 24-hour period. There are two tracks past the park, one of which is a passing siding. The bad news is the passing siding is the closer track to the train-watching park, meaning a stopped train may block a train on the main track. That was my experience during my short visit in September 2014. The train on the siding didn’t move during my visit. 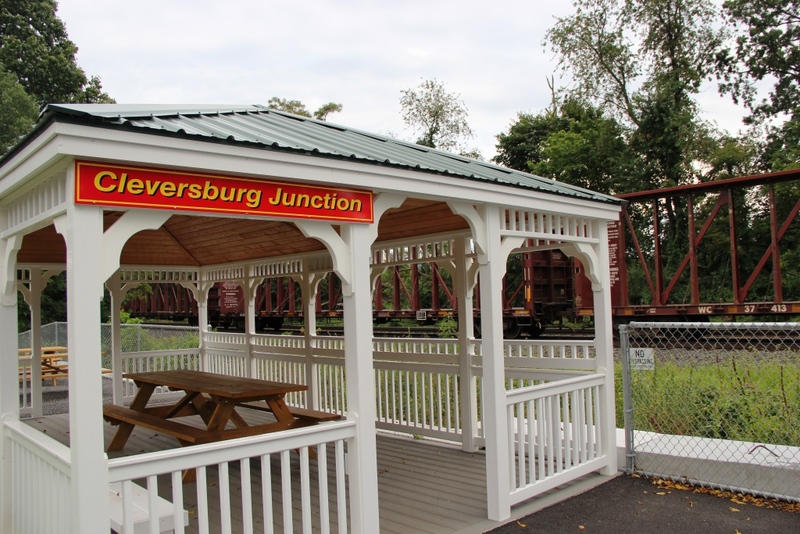 Site Details: Built and maintained by the Southampton Township Park System, Cleversburg Junction consists of a pavilion, picnic area, barbeque and a parking lot complete with handicap parking. 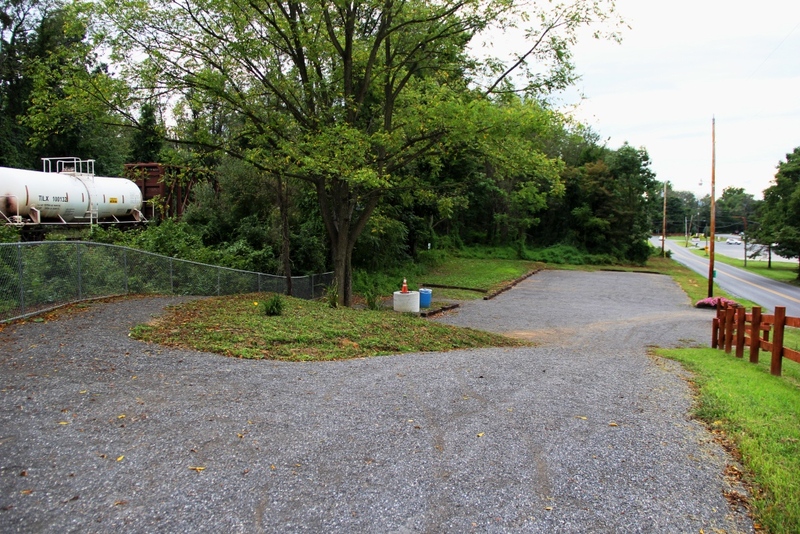 The park is located on a narrow parcel between Airport Road and the Norfolk Southern Railway right-of way. 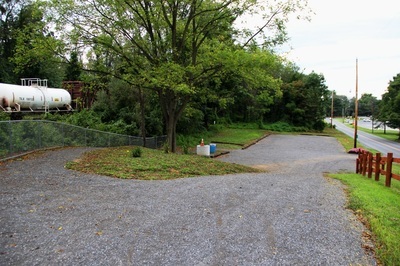 Brush and trees were cleared between the pavilion and the railroad, but the field of view is not that great, although additional brush was removed in 2016 after my last visit. Never the less, it’s worth the stop if traveling on I-81 in southern Pennsylvania. Restrooms on site: No. Nearest restrooms can be found about 200 yards away in the Beistle Pavilion in the Township Park. Other restrooms can be found a short drive north on Airport Road. Rutter’s Farm Store (Gas station / convenient store). Food: None on site. A short drive north/west on Airport Road will lead you to many fast food restaurants such as Wendy’s, Taco Bell, Burger King and Subway. Also, Rutter’s Farm Store is a large convenient store serving food, munchies, and bottled / fountain drinks. Picnic Area: Yes, Picnic tables and a charcoal barbeque are on site. Parking: Free parking in a gravel parking lot built next to the pavilion. One Handicap spot also on site located next to the pavilion. All other parking spots are down a hill. See photo at bottom of this page. Lighted for evening railfanning: Yes. A light switch for lights in the pavilion is manually operated by visitors. A parking lot lamp was also recently installed. I am not sure if you can see passing trains after dark from this site. I imagine it will not be bright enough for night time video. Scanner Frequencies: 160.980 There is a scanner broadcast at the pavilion. Motels / Hotels: There are no railfan motels in Shippenburg. 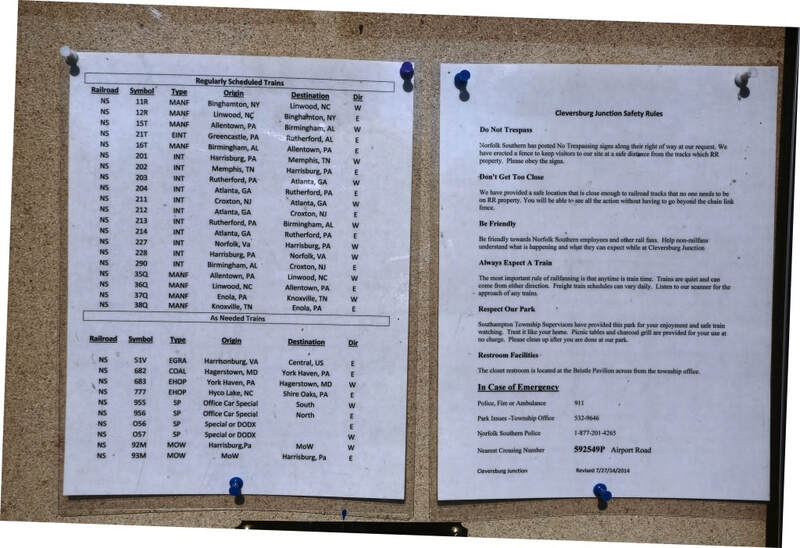 The closest railfan motels can be found less than an hour north in Harrisburg area (Harrisburg, Wormleysburg, Enola). There are two non-railfan motels nearby located at Exit # 29 off I-81. They are Best Western and Rodeway Inn.